The Minister of Women's Affairs and Social Development, Senator Aisha Jumai Al-Hassan, vowed never to dismiss the Progressive Congress until after the general election of 2019, saying she would remain in the party to challenge the election of the government. Taraba. 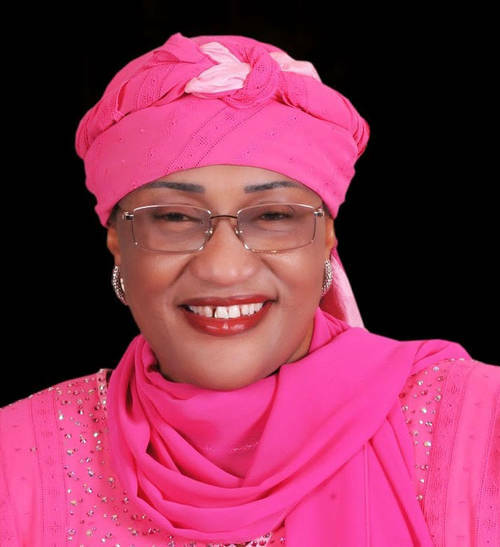 The minister said that contrary to what one might think, she would remain in the ruling party to challenge the 2019 governor's election, saying that President Muhammadu Buhari had given a nod to our political initiatives. She spoke at the 18th regular meeting of the National Council on Women's Issues and Social Development held in Lagos, calling on women to participate actively in the upcoming elections. She added that she would officially return to her riding to do what is needed before next month's primaries. Al-Hassan, who urged Nigerian women not to abandon the policy for men alone, said women needed to redouble their efforts to enable them to take part in political affairs. She said Nigerian women should emulate her fighting spirit while President Muhammadu Buhari assured her that she would not be cheated because she would have participated in the 2015 elections.